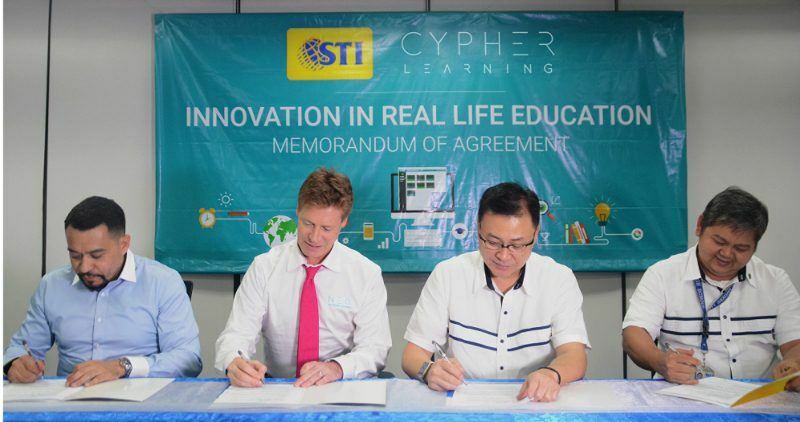 Two giants in the education sector in the Philippines and e-learning industry worldwide, STI and CYPHER LEARNING respectively, recently forged an agreement to provide students with an innovative platform that will augment the learning experience. 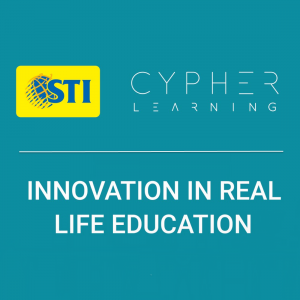 Created by CYPHER LEARNING, STI uses NEO, a world-class and award-winning Learning Management System (LMS) for schools and universities across the globe. NEO LMS is cloud-based eLearning tool that gives teachers and students a two-way platform where they can collaborate, assign and submit homework, take assessments, and track learning progress among others. NEO was ranked as #2 LMS for Higher Education in the “Top 50 LMS 2016 Rankings Report” by Craig Weiss, a distinguished eLearning industry analyst. “Integrating technology in the learning process helps students and teachers stay engaged and connected. Through NEO LMS, students and teachers can discuss online anytime, anywhere”, said Peter K. Fernandez, President and COO of STI Education Services Group, Inc.
With over 100,000 learners in its 77 campuses nationwide, students can review and share their notes, lectures, and other multimedia learning materials on their own time wherever they may be using their smartphone, tablet, laptop or computer. NEO has mobile apps for iOS and Android and an in-browser responsive design that automatically adjusts based on the type of device. 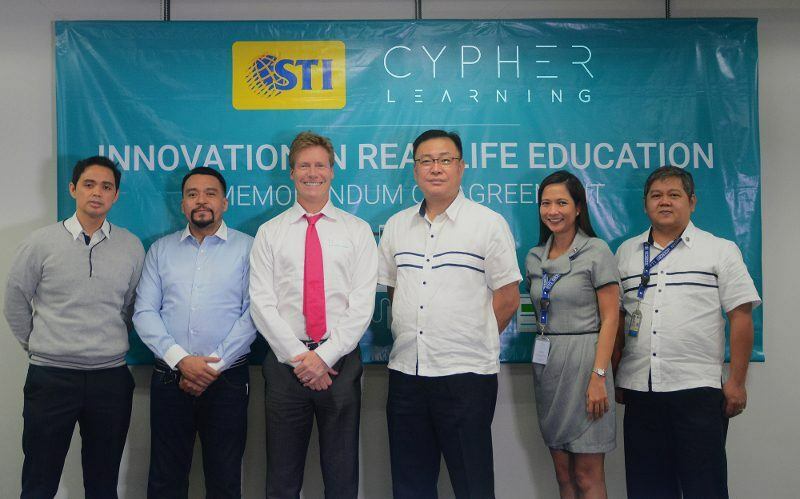 “Since we are dealing with students who are known as ‘digital natives’, we needed to find a relevant, modern and comprehensive solution that will bridge the connection between learners and teachers even outside the campus”, Fernandez said. The official noted that the LMS is only a support to traditional face-to-face instruction, as well as blended and online educational environments. “NEO is only a complementary tool that amplifies the learning experience. We firmly believe that nothing can replace the crucial role of teachers in coaching and nurturing the students”, he pointed out. The LMS is not only beneficial to students but to teachers as well. Through the platform, they can develop, deliver lessons, and evaluate students learning. NEO offers teachers a central repository where they can easily organize and upload learning materials for their students. Furthermore, NEO allows teachers to monitor students’ progress via effective tracking and recording tools. NEO provides teachers with clear insights on where students fall behind or who could take up extra activities. All of these are conducted behind a virtual wall that provides a measure of authentication, security, and privacy. Fernandez noted that the academic institution is known for its leadership in information and communications technology and pioneering steps that brought change to the educational landscape in the country. STI Education Services Group, Inc. is owned by the publicly listed company STI Education Systems Holdings, Inc. STI remains committed to providing real life education for more than thirty years now with highly-relevant academic programs in the fields of Information & Communications Technology, Business & Management, Tourism Management, Hospitality Management, Engineering, Arts & Sciences, and in Senior High School. NEO is a world class, award winning LMS for use by schools and universities that makes it easy to create great classes that student will enjoy anytime, everywhere. NEO provides a complete solution that incorporates all the tools educators and students need in their activities. NEO is a product of CYPHER LEARNING, a company that specializes in providing eLearning platforms for organizations around the world.